I have yet to see much that doesn’t taste good with bacon & cheese. I mean, you just can’t go wrong with them…even with cauliflower. 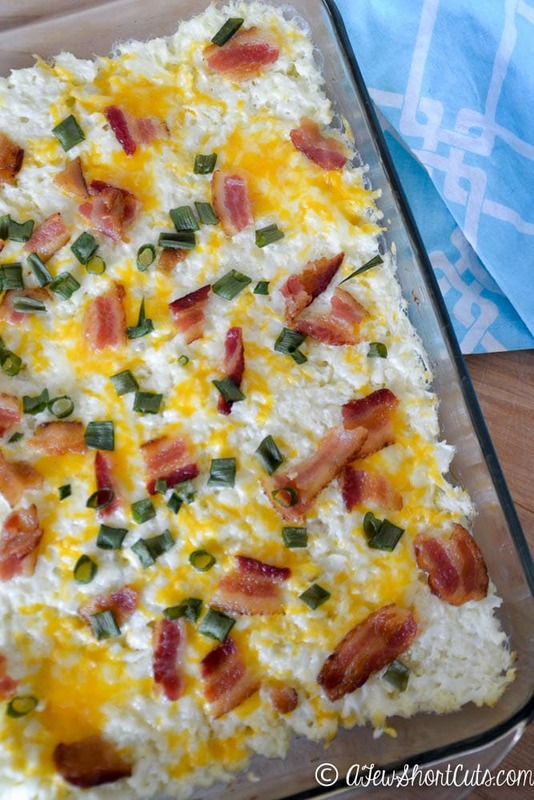 This Loaded Cauliflower Casserole will wow EVERYONE! They may not even know it is cauliflower. I started with 2 medium heads of cauliflower. I washed, and cut it into florets. You could buy already cut up cauliflower too. I placed it in a pot of salted water and let it cook just until softened. Once it is cooked, drain the cauliflower. Now comes the good part. You are going to mash the cauliflower with a stick of butter and a pack of cream cheese. Yup….that is a lot of goodie for that pot of cauliflower, but it gets even better. Once the cauliflower cream cheese mix is mashed spread it in a 13×9 casserole dish. Now top with crumbled bacon, shredded cheddar cheese, and some chopped green onions. Bake at 350 degrees F for about 30 minutes. This is so tasty and the kids even loved it! They had no idea it was cauliflower at first! 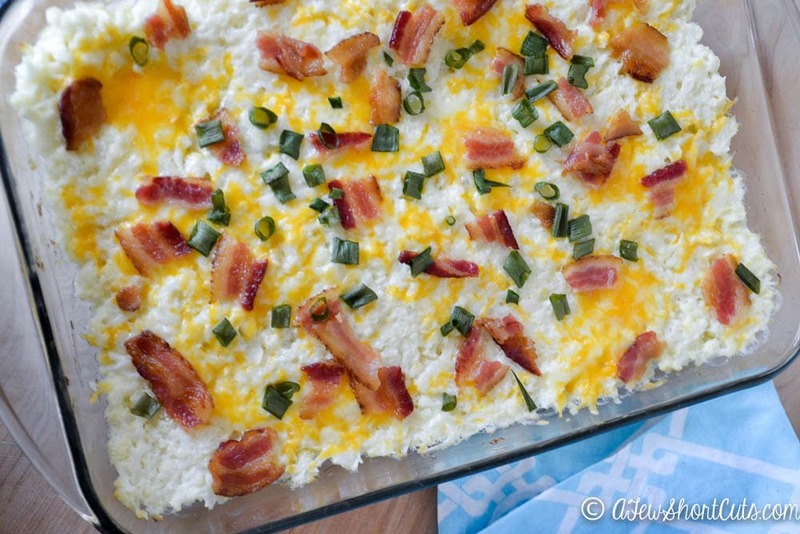 This would be an amazing dish to bring to a pot luck or backyard bbq! 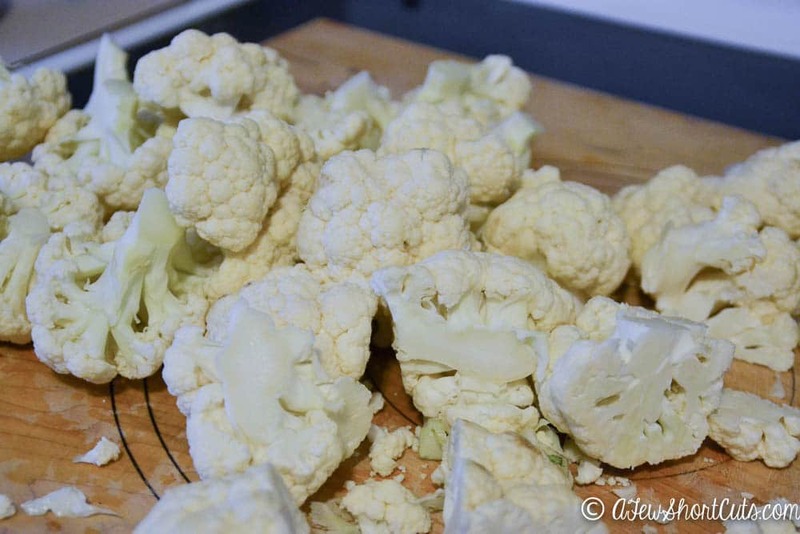 Place cut cauliflower into a large pot of salted water and cook until soft. Drain cauliflower and place it back into the pot with the cream cheese and a stick of butter. 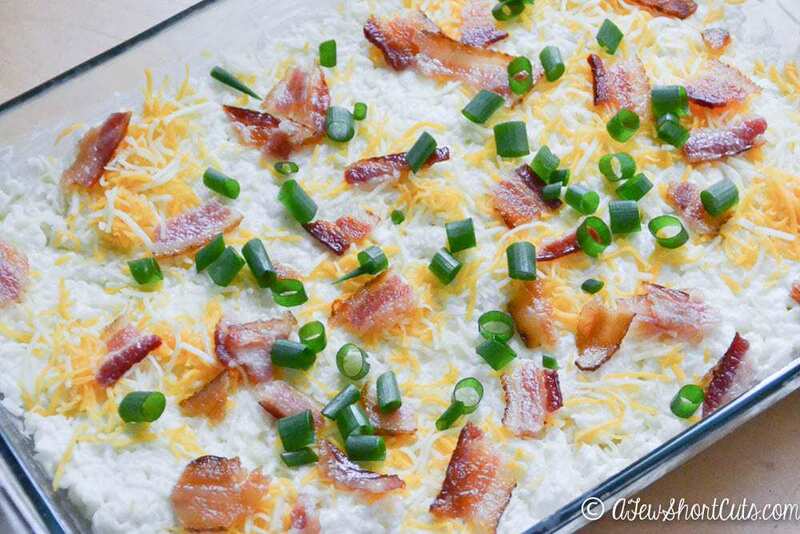 Mash the cauliflower with the cream cheese. 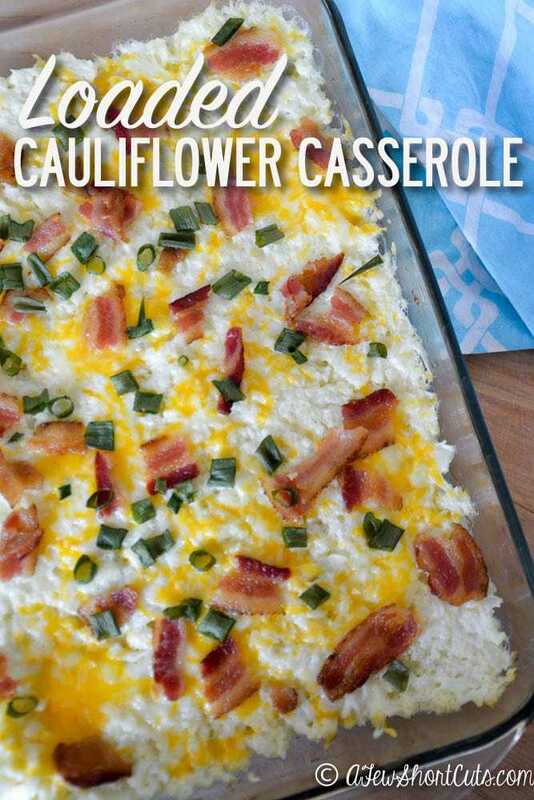 Spread the mashed cauliflower mix into a 13x9 casserole dish.